The "LAMP" stack of software, consisting of the Linux operating system, Apache web server, MySQL database, and PHP scripting language, is a great foundation for web or application development. Installed together, this software stack enables your server to host dynamic websites and web applications. In this tutorial, we'll install a LAMP stack on a Debian 8 server. 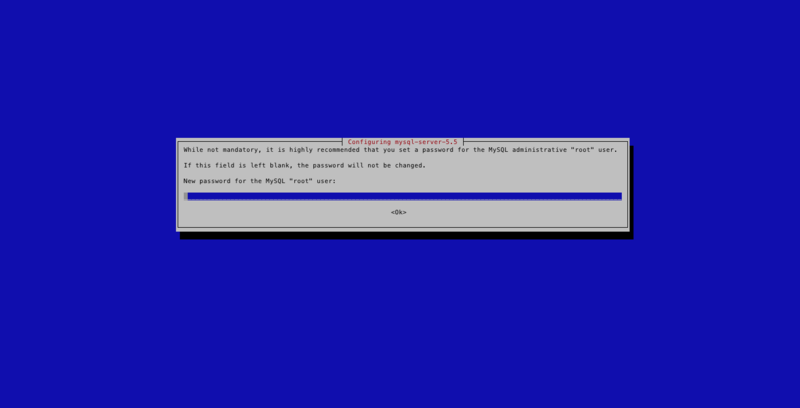 Before we get started, you will need to set up a Debian 8 server with a non-root sudo-enabled user account. You can do this by following our initial server setup guide for Debian 8. You should also create a basic firewall, which you can do by following the Ubuntu and Debian UFW setup tutorial. This tells your operating system to compare the software packages currently installed on your server with any new versions that might have been updated recently in the Debian online repositories, where base software packages are stored. Note: If you are running a development or mission-critical high-use server, be cautious about installing updates without carefully going through each package to determine if it is actually needed for your system. In our example here, all packages have been installed for the purposes of this tutorial only. This may take a while, depending on the current version of the operating system you have installed, software packages, and network conditions. On a fresh server, it will take a couple of seconds. Now your server is fully patched, updated, and ready for LAMP installation. Since your server is already running the Linux operating system Debian, you can move on to installing the Apache web server to manage your networking connections. This installs the basic Apache web server package as well as the documentation that goes along with it. This may take a few seconds as Apache and its required packages are installed. Once done, apt-get will exit, and the installation will be complete. Next, assuming that you have followed the UFW setup tutorial by installing and enabling a firewall, make sure that your firewall allows HTTP and HTTPS traffic. Now that you have successfully installed Apache on your server, you can upload your website content to the /var/www/html directory. If you want to set up multiple websites, please see this article on setting up Apache virtual hosts. For additional instructions and Apache-related security information, please take a look at Debian's Apache information. With your web server up and running, you are ready to create a place for your website to store data, which you can do with MySQL. The next component of the LAMP server is MySQL. This relational database software is an essential backend component for other software packages such as WordPress, Joomla, Drupal, and many others. This is a separate account used specifically for administrative functions in MySQL. The username is root and the password is whatever you set here. Be sure to set a good password with various combinations of letters and numbers. After this, the MySQL installation is finished. Answer yes to remove the anonymous users option for safety. Next, the script will ask you to either allow or disallow remote logins for the root account. For safety, disallow remote logins for root unless your environment requires this. Finally, the script will ask you to remove the test database and then reload the privilege tables. Answer yes to both of these. This will remove the test database and process the security changes. All done! If you have completed all of the above steps, your MySQL installation should now be secure. After confirming that MySQL is active, the next step is to install PHP so that you can run scripts and process code on your server. For our last component, we will set up and install PHP, which stands for PHP: Hypertext Preprocessor. This popular server-side scripting language is used far and wide for dynamic web content, making it essential to many web and application developers. After you agree to the installation, PHP will be installed on your server. 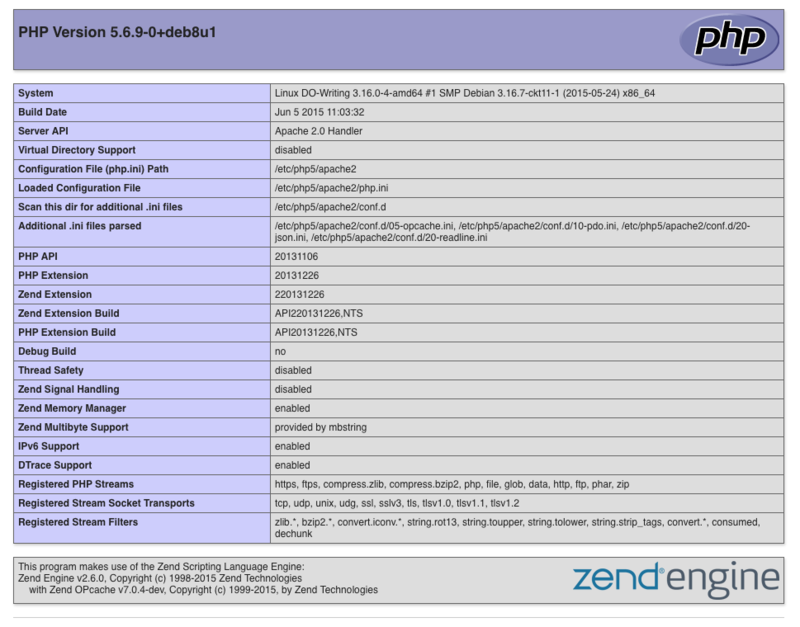 You will see many packages being installed beyond just PHP. Don’t worry; your system is integrating the PHP software with your existing Apache2 installation and other programs. The system will then ask if you wish to remove the test file that you've created. Answer yes to remove the file. Once this is done, you will have completed the basic PHP installation. You have now installed the basic LAMP stack on your server, giving you a platform to create a wide range of websites and web applications. From here, there are many ways that you could customize and extend the capabilities of your server. To learn more about securing your Linux server, check out An Introduction to Securing Your Linux VPS. If you would like to set up your server to host multiple websites, follow the Apache virtual hosts tutorial.